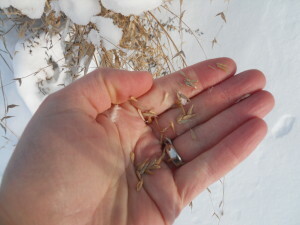 Sowing seeds in winter…crazy? Nope! This weed field was sown last winter with Indiana native forbs and grasses. There are good reasons to sow seeds this time of year. Essentially, Mother Nature knows best. 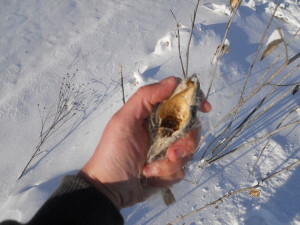 Melting snow along with freezing and thawing will work the seeds into the soil. Photos by Shane Gibson. 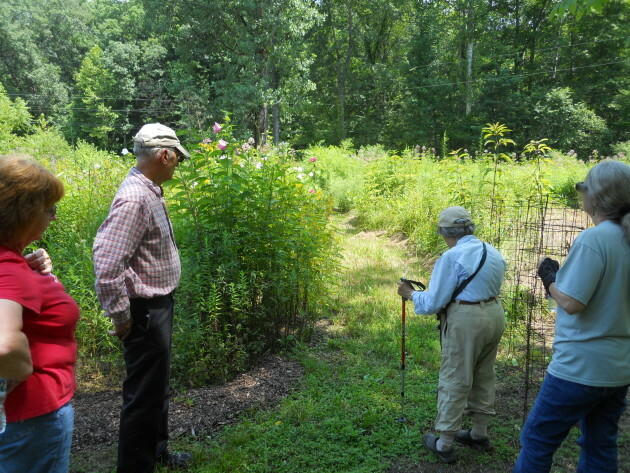 Myriam Wood (second from right) shares her love and knowledge of native plants with a group from Owen County YMCA at Fish Creek Preserve. 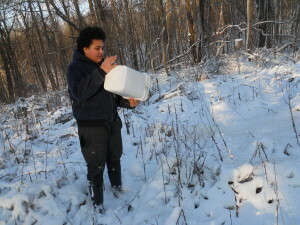 Fish Creek Preserve is protected through a conservation easement held by Sycamore Land Trust. Photo by Shane Gibson. 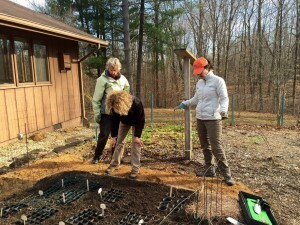 Sycamore members Kathy Ruesink, Mary Weeks, and Donna Yates help Myriam Wood place native seed planters in the soil for winter. 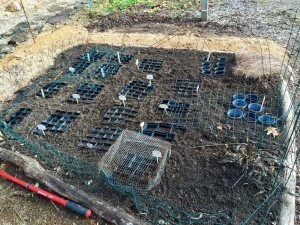 Young plants will be transplanted in spring and summer. Photos by Dottie Warmbier. 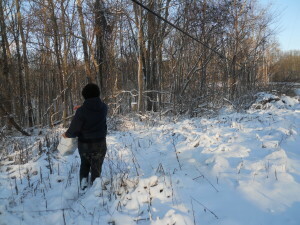 Step 1: Collect or buy seed. Step 2: Mix seed with substance to help distribute the seed evenly. Saw dust, vermiculite, peat moss, or sand are some options. Step 3: Wing it! To insure complete coverage, use half your seed for initial broadcast. Use other half of seed to make passes perpendicular to initial pass. 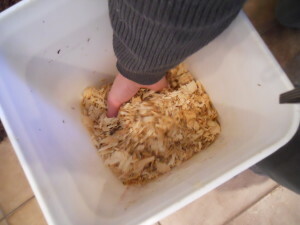 Step 4: Get every last seed out of your bucket. Step 5: Have patience. In the summer, my garden looked like this! 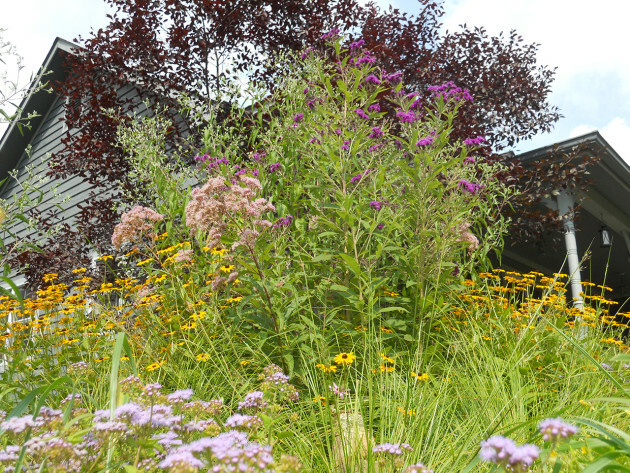 Shane’s garden bed bursting with color from ironweed, snakeroot, Joe-Pye weed, black-eyed Susans, blue mist flower, and prairie dropseed.